You are here: Home » Wrestling » Get your Dr. Greco shirt! 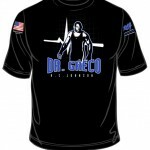 Get your Dr. Greco shirt! Wrestling Published August 19, 2009 at 7:21 pm Comments Off on Get your Dr. Greco shirt! 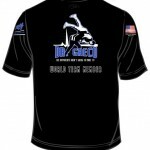 After a couple weeks of working things out the online store for my Dr. Greco shirts is up and running. You can either Click Here to check it out or head over to the Fund Raiser section of my site.